Coventry Pressure Clean can help make your building or property exterior look as good as new. 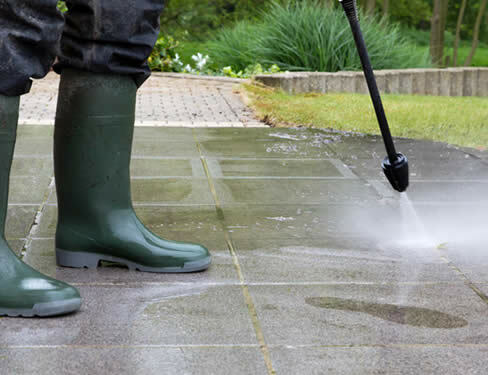 Our Domestic pressure washing service Coventry is becoming very popular throughout Coventry, Leamington Spa, Warwick, Stratford Upon Avon, Nuneaton, Bedworth, Hinckley, Rugby, Solihull and Birmingham. With all the many years of experience & knowledge we have gained, this has helped us greatly with providing outstanding results for our ever expanding list of satisfied customers. With our very affordable rates & fantastic quality service, this is helping us to go from strength to strength. Our team of experts all hold up to date CSCS cards and have years of experience in all cleaning tasks . Our Fully insured team operate our state of the art van mounted industrial hot water cleaning systems are capable of covering extremely large areas in a very short time so no job is to big for us to handle. Our team specialise in monoblock / block paving cleaning across Coventry Warwickshire and surrounding areas for businesses and domestic residents for many years. We will make it as clean as the day it was laid. We first clean edges with high pressure lance and any large areas of moss are removed then we use our industrial rotary cleaners which not only minimise mess but eliminate streaks being left. Next step is going over any areas which may need further stain removal once everything is like new we clean down all surrounding areas ensuring it is left as we found it . We also offer a resanding service to help keep your block paving solid. This stabilises blocks and slows weed growth leaving your block paving looking new again. Exterior decking for most people is an investment for there outdoor living space as it costly and labour intensive to construct we expect it to look it's best for ever, but after a couple of years it no longer looks new with its layer of green algae, grime and sun faded patches decking does require regular cleaning to keep it looking its best. Our decking cleaning Coventry service offers the perfect cleaning solution to cleaning your decking we apply an Eco friendly cleaning solution to lift grime before we use our state of the art pressure cleaning system to bring the wood back to its natural surface we always recommend that you treat with a few coats of oil after cleaning to preserve the decking for future. Natural stone to most of us says historical piece of history as some walls and buildings are hundreds of years old and whilst they retain there beauty the green algae, moss and mould growing on them will slowly destroy all of the historical value as it begins to deteriorate the stone due to retaining moisture all year round. Our natural stone cleaning Coventry techniques are all non abrasive we use Eco friendly non caustic low pressure cleaning to prevent any damage being caused we will restore back to original surface you will be truly amazed at the results guaranteed. When the summer is here we all like to enjoy bbqs on the patio area socialising with friends and family. After the winter maybe it's not looking its best for a bbq party yet but we are here to help it get back to its former glory. We use use our state of the art rotary cleaners to bring them back to looking new again which eliminates streaking and keeps mess to a minimum. We also apply a free anti fungal spray to slow new growth down then once it's perfect we clean down the surrounding area so it looks the same as we found it. After time all brick work can become dirty and unsightly weather it's dirt or peeling paint we can transform the look of it using Eco friendly non caustic cleaning techniques we can lift the dirt before pressure cleaning using our adjustable pressure state of the art cleaning systems we can take years off the look of your property. As we all know our gutters are designed to have water flow and over time all kinds of debris will end up blocking them causing all manner of problems usually not noticeable until a heavy rainfall causes over flowing or even damp in your house not good but our team of professionals are here to prevent this from happening. Our gutter cleaning Coventry starts with us using our curved hook cleaning pole to remove large debris such as sticks once they have been removed we then use our triple motor gutter vacuum system to remove all the remaining debris then finally the gutters and fascias are cleaned using our telescopic low pressure gutter wash to make things look new again. The first thing people will notice when they visit your property will be your driveway as they arrive. Oil stains are unsightly and generally look a mess and after investing in block paving it's such a shame to have it let down by having black oil stains or fuel stains. We are able to treat and remove these stains for you. Our team have several different methods for removing oil /fuel stains depending on the surface substrate and age of the stain. Our non chemical steam clean is ideal for fresh fuel or oil spills however if the stain is severe and has been there for a while our team will tend to treat the area 24 hours before cleaning with our state of the art industrial hot cleaning systems. Leaving you with an amazing oil stain free drive. If you were unable to find a service you require please call us to discuss.